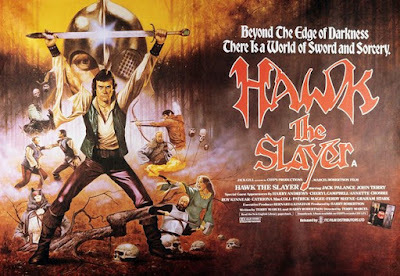 For gamers of a certain age, Hawk the Slayer inspired the imagination as much as Peter Jackson's adaptation of The Lord of the Rings. The film's story is staid, predictable, and pretty forgettable, but the overt sternness of "Crow," the over acting of Jack Palance, and the "Sword of Mind" made it all worth it. I cannot overstate how many times I watched this film as a wee lad, but I will say that my love of this film does a lot to explain why I'm less critical of films like Seventh Son. All I care about is whether the cast is having a good time. There are several reviews of the film on the internet, if you want to read a review, but this being a gaming blog (supposedly) I will be providing Savage Worlds statistics for Crow...the Elf for Savage Worlds and Shadow of the Demon Lord. Edges: Marksman, Quick, Rock and Roll! Low Light Vision: Ignores penalties for Dim and Dark lighting. Rock-n-Roll! edge gives Crow an RoF of 2 with his bow instead of normal bonus. While Savage Worlds has been my "go to" system for quickly stating things up for gaming, because of it's Fast, Furious, and Fun nature, I've decided to provide statistics for Crow using Robert Schwalb's excellent Shadow of the Demon Lord system. Partly because of the easy to use and learn system that allows for a lot of customization, and partly because the background of Hawk the Slayer includes the intrusion of a Demon Lord into the world of our heros. *Class featured in Terrible Beauty expansion. 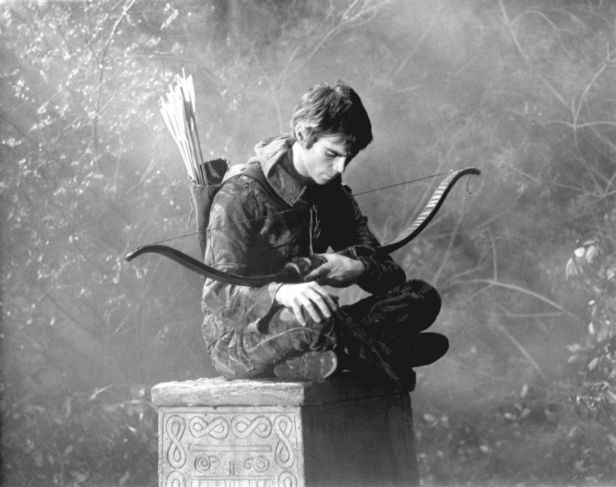 Talents: Shadowsight, Spell Defense, Bewitching Presence, Iron Vulnerability, Catch Your Breath, Weapon Training (longbow), Combat Prowess, Forceful Strike, Swift Shot, Combat Expertise, Durable, Darksight, Shadowblend, Silent Moves. Special Abilities: Immune to damage from disease; charm, and disease. I think that each system brings out some of the intricacies that made Crow an entertaining character. If you are interested in playing either Savage Worlds or Shadow of the Demon Lord, you can purchase them by clicking on the hyperlinks.